Casual gourmet dining is available for lunch in our restaurant, Le Côté de la Colline. Our multi-cultural chefs, tasters and servers bring you their culinary love all the way from all over the world. Guests can choose to dine in our spacious 50-seat atrium or on our outdoor terrace. We aim to keep our guests comfortable no matter the weather. 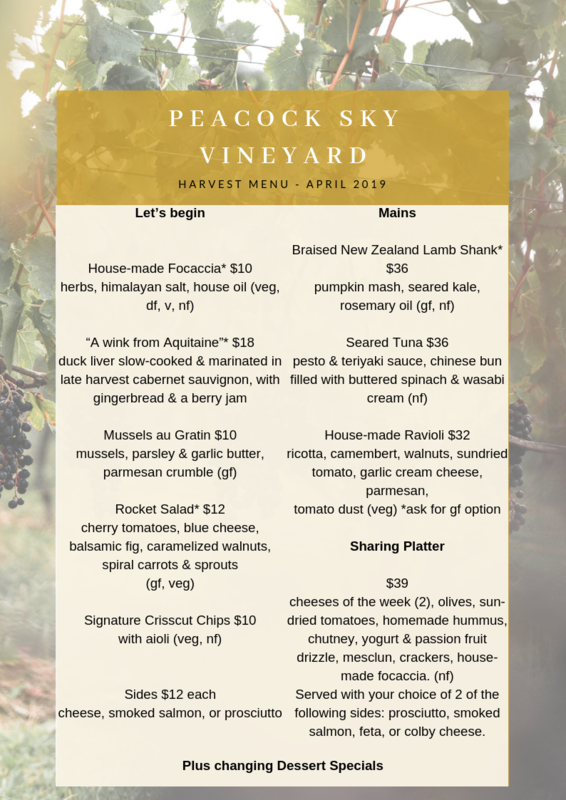 In addition to our cellar door and daily degustation wine tastings, Peacock Sky offers daily lunchtime dining. Our atrium restaurant area, Le Côté de la Colline, opened in 2013 and seats approximately 50 guests for lunch. Guests can also choose to dine on our outdoor terraces, overlooking native bush. The covered dining area is perfect on a calm day, fully open with perfect shade and gentle breezes. On a windy or rainy day we pull the transparent side covers down so you can still enjoy the views without having to suffer the elements. Please note: June – August our Tasting Room will be open but our Restaurant will be closed. Many many thanks – first visit to your establishment and loved the relaxed / casual feel. The food yet simple was beautiful! The wines – loved the Merlot/ Malbec but was taken aback by the last minute taste of the Chardonnay! Have registered for mailing list and will be online shortly and then back later in year. Totally superior service in the beautiful vineyard! Just to say thank you for an amazing afternoon yesterday at Peacock Sky, the hospitality, cuisine, entertainment and wine was fabulous, all your staff were so welcoming, friendly, accommodating and relaxed, totally superior service in the beautiful vineyard location of Waiheke Island, it was our second visit and it totally exceeded all our expectations again. 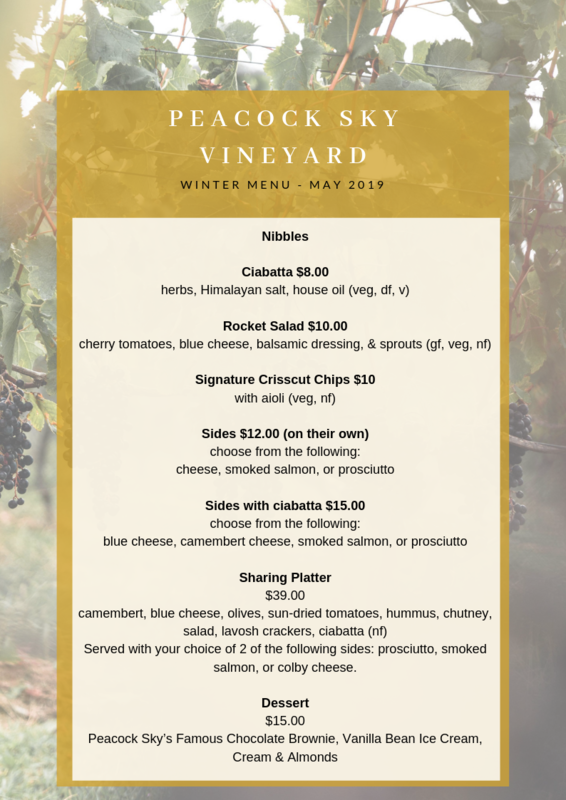 We were absolutely delighted to visit Peacock Sky last Saturday, the food was great and the wine tasting (in clear Brazilian Portuguese!) was fantastic.